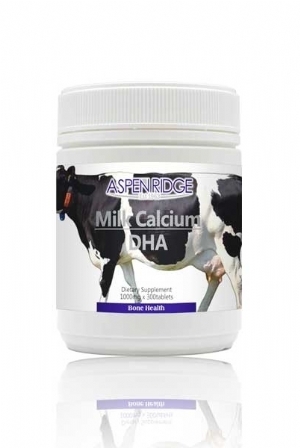 Aspen Ridge Milk Calcium formulated with DHA is suitable for Men, Women, Children and mature health needs. 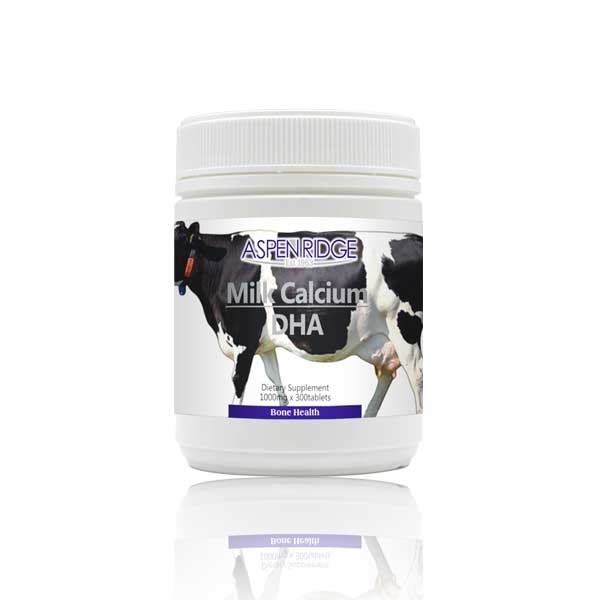 Milk Calcium supports a bone-healthy lifestyle, while working to build strong bones and teeth. Calcium is also essential for healthy cellular structure, muscle contraction, nerve transmission, enzyme activation and hormone function. Vitamin D assists with the efficient absorption of Calcium and benefits the immune system, while supporting healthy blood sugar regulation. Adults take 2-10 tablets per day. Children take 1-2 tablets per day. Do not consume if allergy to cows milk or lactose intolerance is known. Calcipotriene: (Dovonex), Digoxin: ( Lanoxin). Verapamil: (Calan, Covera, Isoptin, Verelan), Water Pills: (Thiazide diuretics).